In nature silkworms are an important part in the food range of koi or koi carps. 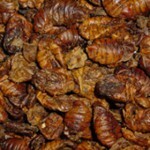 Fish food composed of dry-steamed silkworms is therefore the best feed for your koi. This feed is very rich in protein and provide strong growth, optimum condition and large resistance. 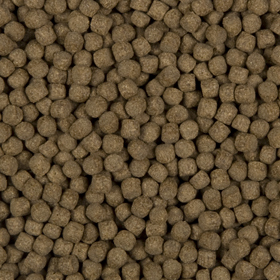 It is a floating natural feed which can be applied at water temperatures of 10 °C and higher. 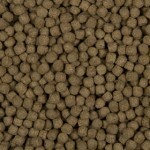 Besides there is special floating pellet feed for koi. It is a 100% natural feed and it is composed of vegetable proteins, fats and carbon hydrates, enriched with vitamins and trace elements. The floating main feed can be used at water temperatures of 10 °C and higher. The best way to feed your koi is to do it a number of times a day. See to it that the koi food will be eaten within 5 minutes, because feed that is not eaten may produce additional waste material in your pond and cause a burden for the biological equilibrium. This will lead to algal growth and turbid water. 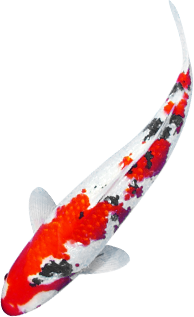 In winter (temperatures below 10 °C) the activity of koi will decrease considerably and along with it their need of energy. Therefore apply special sinking winter feed in cold periods of the year. This feed has a low energetic value and contains an added Immune Stimulator for improvement of resistance.